1. The flavours of ice cream here are cool and interesting. Yesterday I had a Daim Pear ice cream. Daim is like Skor - imagine a Drumstick filled with a Skor blizzard only the ice cream is pear flavoured instead of vanilla. 2. Many things here come in tubes. Cheese, caviar, headache pills, and much more. 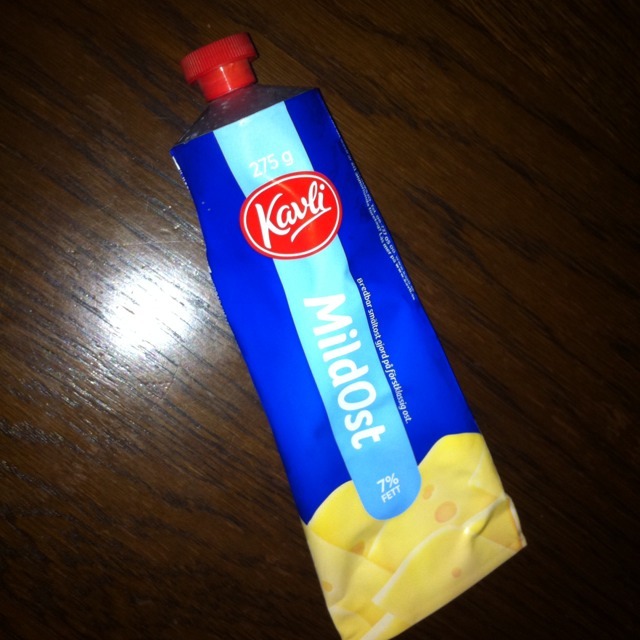 Here is a tube of cheese we bought. 3. There are warning signs for almost anything you can imagine. We've seen signs warning of deer, bikes, horses, cows, boar, ferries, and probably more I can't remember at the moment. No moose signs yet; presumably we'll see those as we get farther north. 4. Cycling infrastructure here is amazing. There are separated cycle paths all over the place, even where you wouldn't expect it. We rode on one cycle path in the middle of nowhere beside a farmer's field. There are also signed cycle routes between cities, which point you on the best route to the next city. Bike parking is everywhere. Even at very rural bus stops, there are bike parking lots. 5. Probably because of the bike infrastructure, there are tons of cyclists here. Most of them are on 3-speed city bikes. The range of ages you see cycling is awesome, I'm sure I've seen people from 4 to 80 on bikes.